Join us for our 17th Annual Tree Lighting celebration as we officially kick off the holiday season! This magical evening will feature special performances from CBS A Home for the Holidays, including Andy Grammer, Daya, Lindsey Stirling, Rozzi & Parson James, JD McCrary, and more! Rejoice in the season’s first snowfall, a fireworks spectacular, and Santa’s grand arrival. Presented by Citi since 2011, the show is co-sponsored by BMW. Uber is the official Rideshare partner of Caruso. Stores will close at 4pm on November 18. 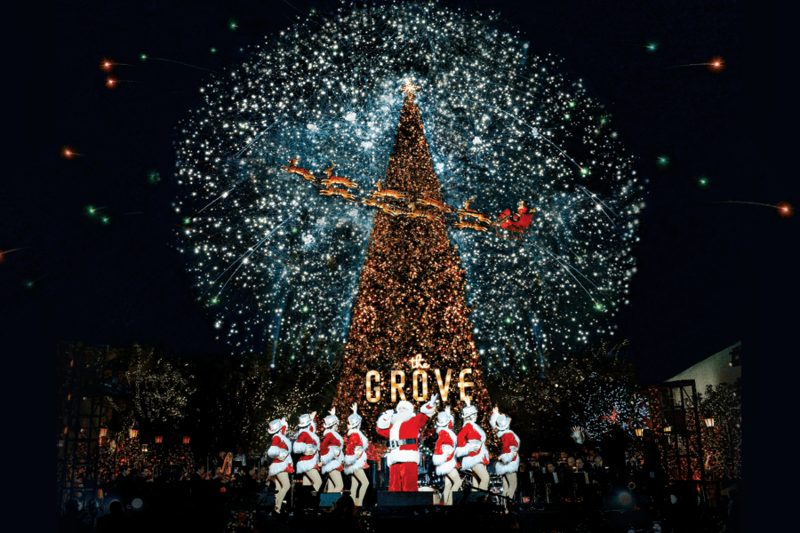 2018-Nov-18 19:30:00 2018-Nov-18 21:00:00 America/Los_Angeles Citi Presents: Christmas at The Grove Join us for our 17th Annual Tree Lighting celebration as we officially kick off the holiday season! This magical evening will feature special performances from CBS A Home for the Holidays, including Andy Grammer, Daya, Lindsey Stirling, Rozzi & Parson James, JD McCrary, and more! Rejoice in the season’s first snowfall, a fireworks spectacular, and Santa’s grand arrival. Presented by Citi since 2011, the show is co-sponsored by BMW. Uber is the official Rideshare partner of Caruso. This event is complimentary and open to the public. To ensure the safety of our guests, security screenings will be conducted at all entry points. Thank you for your cooperation.